We are seeking highly motivated postdoctoral candidates, who are interested in translational and experimental haematology research. A postdoctoral fellow position is available in the Megakaryocyte Physiology and Pathology Lab, Department of Molecular Medicine, University of Pavia, Italy (http://alessandrabalduini.com/). The laboratory is focused on researching how the extracellular matrix components of the bone marrow microenvironment regulate megakaryocyte function in physiologic and pathologic conditions. We have made significant contributions in defining the interaction between megakaryocytes and extracellular matrix components of the bone marrow and their role in the development and progression of Myeloproliferative Neoplasms (Malara et al., Blood. 2011; 117(8):2476-83; Abbonante et al., Blood. 2017; 10;130(6):829-831). This research led to the characterization of megakaryocytes alterations as well as of the bone marrow extracellular matrix composition in Myeloproliferative Neoplasms. The current focus is to study the role of Fibronectin and its isoforms in these processes. This project is funded by the Italian Association for Cancer Research (AIRC). We are seeking highly motivated postdoctoral candidates, who are interested in translational and experimental haematology research. Postdoc job description: The successful applicant must have PhD and/or MD and have strong skills in handling animal models, cell culture, biochemistry and molecular biology. Additionally, the candidate must have an advanced understanding of flow cytometry and fluency in spoken and written English. The applicant should have published in peer-reviewed journals. Candidates who have recently completed or are about to complete their PhD will be considered. The candidates are expected to work independently and to generate high impact publications. Proven team collaboration skills are essential for this position. Interested applicants should send a cover letter, CV, and the names/phone numbers of three (3) people who could provide letters of reference by email to: alessandra.balduini@unipv.it. Applicants who are not Italian citizens or permanent residents may apply, indicating their immigration/visa status, if any. The Laboratory is part of the Department of Molecular Medicine, University of Pavia, Italy. Founded in 1361, the University of Pavia continues the tradition of excellence in education, research and patient care. With the University Hospital, IRCCS Policlinico San Matteo Foundation, the University comprises all specialized departments required for a multidisciplinary approach to patients and research. The project will be integrated in a research environment that will give broader intellectual support to the research connecting basic and clinical science. We are seeking highly motivated postdoctoral candidates, who are interested in translational and inter-disciplinary research to develop 3D organ models. The laboratory has perfected the use of silk biomaterials to develop 3D models of the bone marrow for producing functional platelets and their precursors, megakaryocytes (Di Buduo et al., Blood. 2015; 125(14): 2254-64; Di Buduo et al., Biomaterials. 2017; 146:60-71; Tozzi et al., Biomaterials. 2018; 178:122-133). We have made significant contributions in developing a 3D model specialized in bone marrow and blood cells, a unique tissue that has never been replicated ex-vivo using human cells. The current focus is to develop a 3D engineered nanotechnology silk biomaterial platform for large-scale generation of human platelets. The first application of this system will be: 1) producing platelets from human Pluripotent Stem Cells (hPSCs), 2) modeling diseases and 3) developing drug response and toxicity tests for personalized medicine. This project is funded by the Horizon 2020-European Commission, Future and Emerging Technologies (https://silkfusion.eu/). We are seeking highly motivated postdoctoral candidates, who are interested in translational and inter-disciplinary research to develop 3D organ models. Postdoc job description: The successful applicant must have PhD and an excellent track record of research in a field related to biotechnology or bioengineering and to have an interest in biological applications. The candidate should bring strong expertise and experimental background in the fields of microfluidics, microfabrication, bioengineering for biological applications. Basic knowledge of molecular cell biology (cell culture, basic molecular biology concepts and techniques) and microscopy techniques is also required. Background in 3D printing would be preferable, but not required. The applicant should have published in peer-reviewed journals and must have fluency in spoken and written English. Candidates who have recently completed or are about to complete their PhD will be considered. The candidates are expected to work independently and to generate high impact publications. Proven team collaboration skills are essential for this position. The Laboratory is part of the Department of Molecular Medicine, University of Pavia, Italy. Founded in 1361 the University of Pavia continues the tradition of excellence in education, research and multidisciplinary research. 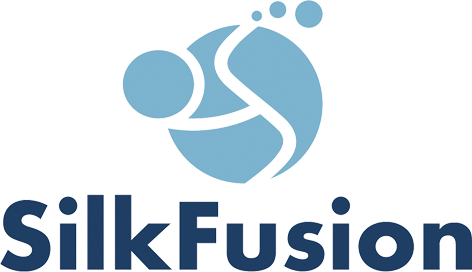 SilkFusion (https://silkfusion.eu/) has received funding from the European Union’s Horizon 2020 research and innovation programme under grant agreement No 767309. SilkFusion is a novel 3D technology that will use silk-fibroin as a biomaterial for microfabrication and 3D printing of a bone marrow model containing viable megakaryocytes for producing platelets.